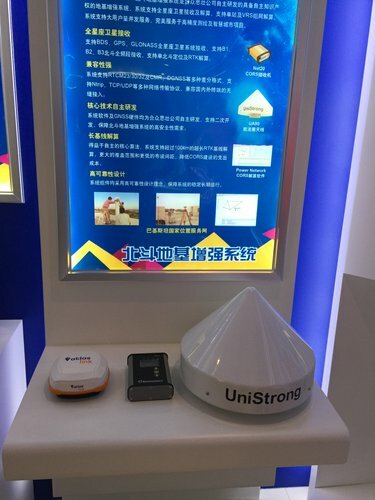 UniStrong Science and Technology Co, a Beijing-headquartered global navigation satellite system, positioning and timing service provider, successfully established a regional BeiDou Navigation Satellite system network consisting of five base stations and one processing center in Karachi on May 21, 2014. 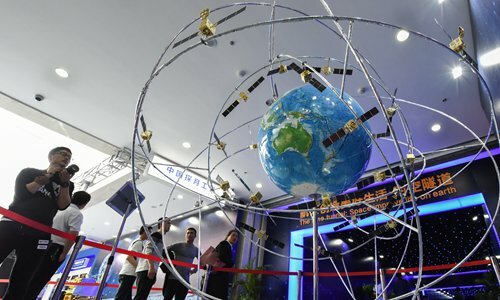 This network, unlike the single point base stations already installed in countries like Thailand, marked the first time China has brought its full BeiDou system with 2-centimeter accuracy to a foreign nation, Zhang Ruifeng, head of the UniStrong's publicity department told the Global Times on Tuesday. During Chinese Premier Li Keqiang's trip to Pakistan in May 2013, the two sides reached a consensus to create a new pattern of strategic cooperation. A joint statement on deepening comprehensive cooperation between the two countries highlighted eight areas including new fields like interconnectivity, maritime cooperation, and aviation and aerospace, the Xinhua News Agency reported. Regarding aviation and aerospace cooperation, the two sides signed an agreement to introduce BDS to Pakistan, making Pakistan the first country in the world to sign an official cooperation agreement on BDS. Such agreements paved the way for UniStrong's project in Pakistan, and during the construction the firm experienced hospitality from the local government, Wang Yun, manager of UniStrong's product department and leader of the construction team in Karachi, told the Global Times. By covering Karachi and its surrounding areas with the high-precision navigation network, the project has helped basic geographic surveying, land management and port dispatching with reduced costs and enhanced efficiency, Wang said. Describing his time working in the city, Wang felt deeply grateful to the Pakistani side, saying that "Both the construction and our personal safety were very well taken care of." "What impressed me the most is that after we landed in the city, we received an immediate welcome from an etiquette officer, and we were escorted by the local armed forces once we left the airport," Wang said. According to Wang, when they first arrived in November 2013, she and her team walked the barren hills around the city for a whole week and failed to find any available site for the network, "because in this arid area, there was scarcely any Internet or communication services, and there were no compatible devices for BDS, we had to keep walking to try and find a proper site." Their hard month of site selection finally paid off, and the actual construction process took the team only few months to complete, and so far there have been no malfunctions or any negative reports from the Pakistani side, Zhang told the Global Times. Cooperation involving BDS will in the future be expanded to Thailand and Sri Lanka, and then on to the rest of Southeast Asia in a bid to go global, Xinhua said in April. Du Li, general manager of Wuhan Optics Valley BeiDou Holding Group Co., another firm involved in researching BDS, told Xinhua that his company will continue to explore models for international scientific and technical cooperation on BDS, including the joint construction of base stations; joint technical development and research; and personnel training and exchanges. By the end of 2016, BDS already had a constellation of 32 satellites. The "One Belt One Road" initiative is an opportunity for China's space science and technology to spread beyond its borders, said Li Deren, a professor at the School of Remote Sensing and Information Engineering of Wuhan University. "Our priority is to expand BDS from China to the frontline of the "One Belt One Road" initiative, and in this Optics Valley BeiDou is a pioneer," Li said.